If you're thinking about getting a divorce, spousal maintenance (also called alimony) can be one of the most unpleasant details to overcome. Spousal maintenance situations are handled on a case-by-case basis because Washington family law does not provide any outline for awarding alimony. This is one of the reasons why alimony issues can lead to arguments. Our Bellevue spousal maintenance lawyers can help you with support payment issues, or if you are desirous of collecting alimony from an ex-spouse. The Bellevue alimony attorneys from the Law Office of Jason S. Newcombe will fight to protect the financial stability of you and your family. Your situation is unique, so our Bellevue spousal support attorneys will gather information to help you better understand how the law applies to your situation. This makes it possible for you to make informed decisions regarding alimony and support issues. If you have questions about the amount of alimony you will receive or be required to pay, our experienced attorneys can also inform you when the first payment will likely be due. Our Bellevue spousal support attorneys will focus on building a case that centers on your financial needs. Be prepared to supply our Bellevue spousal maintenance lawyers with answers to some of these important questions before alimony negotiations begin. How many years were you married? What were the financial resources of each party? What standard of living did you enjoy during your Bellevue marriage? The Washington court will also want to know your overall condition of health and your age, so you should be ready to provide to one of our Bellevue alimony attorneys with this information. A divorce causes uncertainty in a person's life, and the emotional turmoil can make it difficult to render decisions that will ultimately have a huge impact on your life. Financial security is important for everyone, so you should discuss your support needs with our Bellevue alimony attorneys. If you're concerned about the amount of alimony you will be legally required to pay, or if you are seeking alimony from an ex-spouse, you can contact our Bellevue spousal support attorneys for a free evaluation of your situation. 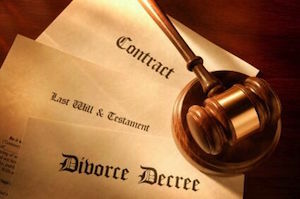 Without obligation or risk, an experienced lawyer from our law firm will provide you with specific legal information about spousal maintenance, which you can then use to make an informed decision regarding your finances and future. Our spousal support attorneys in Bellevue will help you take the first steps toward a new life, so ask us your most pressing questions and start getting answers from professional litigators who will aggressively protect your legal interests.